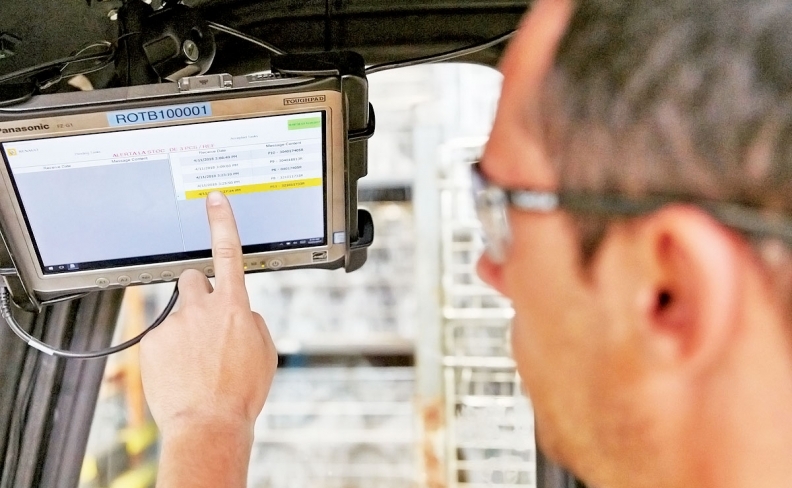 A forklift operator uses a tablet computer to track inventory at Renault Group's Dacia plant in Pitesti, Romania. Renault is spending US$470 million to equip its factories with Industry 4.0 technology. A strange and hipster-ish buzzword is traveling through the auto industry right now: Industry 4.0. From Krakow to Kentucky, auto sector manufacturers are talking about "embracing 4.0" as a way to rise to the next level of competitiveness. The loosey-goosey term is being hailed as "the new way" — and many of the industry's giants are reporting positive results from the new approach to manufacturing. "We've identified that there is savings and value-add that is significant," Tim Geiger, Ford Motor Co.'s principal architect for manufacturing, told an industry audience last week at the CAR Management Briefing Seminars in Traverse City, Mich. So what is Industry 4.0, and why was it a topic in Traverse City? In a nutshell, 4.0 is the use of Big Data to build, schedule and deliver products. It is the infusion of manufacturing processes, assembly lines, parts shipments, schedules, shipping containers, machine performance reports and worker activity with advanced robots, tracking tools, sensors, sensor readers, connected computer systems and anything else that can be brought together to enable greater management control. But mostly it is about gaining visibility into the entire manufacturing and logistics enterprise to see what's happening and make informed decisions about it. Geiger said Ford's Kentucky Truck Plant in Louisville has adopted 4.0 procedures as part of a $25 million (all figures in USD) investment to speed up production of Ford Super Duty pickups and Expedition and Lincoln Navigator SUVs. "Our data scientists just want the data," Geiger said of the results of Ford's new approach. "They don't care how we get the data to them." General Motors is also hot into the trend. 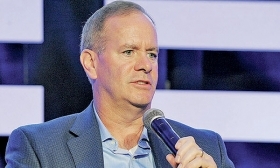 Dan Grieshaber, GM's director of global manufacturing integration, told a Traverse City audience that GM now has an army of 13,000 connected robots in 54 plants around the world, monitoring activity, sharing data and predicting the point at which a given machine is likely to require attention. And GM wants more of that, Grieshaber said. As part of an initiative it calls "Zero Down Time," GM is implementing 4.0 tools such as wearable technology that brings live data up from individual workstations, and new "cobots" — advanced cooperative robots that can be placed next to humans on an assembly line with built-in safety software to make sure that the human won't get accidentally elbowed by a machine. "This is not about technology for technology's sake," Grieshaber said. "It's about solving specific business problems or changing our environment such that we can solve the problems we anticipate tomorrow." Dominik Wee, a partner at McKinsey and Co. in Munich who has been following the trend, says 4.0 includes a lot of things to improve manufacturing and supply chain efficiency. "We haven't been very strict with our definition, because a lot of the value comes from combining technologies," Wee said. The new tools are particularly well-suited for the auto sector, analysts say, because it is a mature business — more than a century old. And processes are broadly similar across thousands of factories around the world. "If you were a technology vendor, and you were doing a heat map of the most attractive industries, automotive would be at the top, or close to it," Wee said. But the real motivation in all this is making more money. Or at least losing less money. A recent problem at the German transmission maker ZF Friedrichshafen illustrates the potential. Wooden crates of ZF transmissions began turning up damaged in China about a year and a half ago, stumping the supplier. Traditionally, fixing the problem would require redesigning thousands of boxes to make them sturdier. Instead, ZF's Openmatics division used a 4.0 solution. It attached a $45 Bluetooth transmitter to each box to track it remotely in real time to see exactly where the damage was occurring. "We found out that it was in a Chinese port, always in the same port on the same crane," said Thomas Roesch, the managing director of Openmatics. "So we could talk to our partners about correcting the problem, instead of investing X amounts of euros to make the boxes more stable." Renault Group is investing about $470 million to add data-driven tools across its dozens of plants by 2020. "We are rolling it out, military-style," Thierry Brancard, Renault's digital officer for manufacturing, said. Eventually the solutions will be shared with Renault's alliance partners, Nissan and Mitsubishi. Renault's first 4.0 initiative is to connect the workforce on the factory floor using tablet computers. "This gives the manager mobility, which saves time," he said. "But we also want to bring technology to the guy on the production line who is building the car or the engine." The tablets, affixed to posts, let workers know what kind of car, with what options, is coming down Renault's flexible production lines. "There's a very simple user interface to be able to ask for help, to report a problem or to get information from what they have to do one, two or three cars ahead," Brancard said. Renault is also adding sensors to old equipment to avoid downtime. "Everything has a motor or a chain that can be monitored for temperature, vibration or any physical value," he said. The next step for Renault is what's known as predictive maintenance, in which algorithms forecast when problems might occur. At its Dacia plant in Pitesti, Romania, Renault engineers recently detected worrisome vibrations in an otherwise healthy stamping press. "If the press had a breakdown, the consequences could be huge," Brancard said. But a data examination found that the repairs could wait until the weekend, when the plant was going to be idle anyway. Sensors and software that gather and process data in real time are helping Renault squeeze efficiency out of every nook and cranny of the supply chain. "We want to track everything from head to toe, from suppliers to aftersales," Brancard said. "Some of our systems are quite old, and we were piloting the supply chain with data snapshots taken every day or every week." Renault is routinely implanting sensors into its packaging, partly to track its progress from plant to plant, but also to keep track of returnables and racks. "The big benefit is to know exactly where your assets are and avoiding buying new ones if you don't need to," he said. Another company bullish about Industry 4.0 is the Spanish metal parts supplier Gestamp. "It gives us lots of opportunity to increase the efficiency of the plants," Francisco Riberas, executive chairman, said at press event in Barcelona in June. The company is big in hot-stamping, a process that shapes steel into lightweight, high-strength body shell parts. Demand is growing, but the combined oven and press in a hot-stamping line is energy-hungry and expensive. Harvesting and understanding information from new and existing sensors would reduce stoppages and increase capacity by 10 percent globally, the company believes, without giving a time frame. It also expects to reduce energy consumption. Gestamp has been working with Siemens on the project since 2015, and Siemens says the goal is to get its hot-stamping lines working autonomously. "The press line is controlled by one person, and they can't process all the variables and data," said Pedro Romero Sanchez, a Siemens project manager. The idea is to reduce the reliance on the "machine whisperer," the old-hand operator who interprets the stamping line's wheezes and creaks to know when it's about to malfunction. "We wanted to digitalize the expertise, understand it through algorithms," Laura Vinolas, Gestamp's Industry 4.0 technical manager, said. "We are doing this because of the value. You have more capacity, faster lines, maintenance optimization, less scrap and energy savings." Gestamp is also working with Google's r&d arm, Google X, to look into collaborative robots to better streamline its vast welding operation, used mainly to create chassis parts. It's the early stages for the U.S.-based project, but the goal is to have robots communicate via sensors so they can quickly change jobs. "I want this robot to make this part for GM, this part for Audi and this part for Ford," Pablo De La Puente, Gestamp's chief information officer, said. "This only works if the robots work together. We will win a lot of time back spent reprogramming, and we can avoid a lot of investment in robots." Outside of Siemens, other Tier 1 automotive suppliers are starting to sell Industry 4.0 solutions to their customers, once they've been fine-tuned in their own factories. The rewards are potentially huge, although much of the technology is still in its infancy. Bosch has just created a business unit, Bosch Connected Industry, with 500 employees. Another Germany-based supplier, Schaeffler, has started a digital industry unit, and says it will have 300 employees by the end of this year. Honeywell established a Digital Transformation unit in 2016; Openmatics, a startup within ZF, now has 70 employees. Bosch has bundled its Industry 4.0 software and services under the brand name Nexeed. Stefan Bastian, global director of sales, marketing and consulting for Bosch Connected Industry, said all the services have first been tested in Bosch's own lines, in 270 plants and 700 warehouses. "Nexeed can connect single lines, entire facilities or factory networks and internal logistics as well as their external flow of goods," Bastian said. The aim is to generate €1 billion in additional sales by 2020. In one example, Nexeed logistics software that manages transport routes, keeps track of vehicles and optimizes storage helped Bosch expand a warehouse by 40 percent without adding vehicles. "A company like Bosch or Siemens are big users of the technology and big providers at the same time," said Wee, the McKinsey partner. "It gives them a benefit, because they have a huge playing ground in-house." Wee and others cautioned about rushing into Industry 4.0 too quickly. "The key is not to go from the technology forward but from the use case backwards," he said. "You may not end up with the most technologically appealing solution, but it's usually more 'sticky' because it has business value. "In general there's a rule that the more flashy the stuff is, the less likely it is to perform," he added. Automakers appear to know that, despite their enthusiasm. "There isn't one individual silver bullet that's going to solve all the problems we talked about today," GM's Grieshaber said. "It's really going to be, in my view, a combination of a lot of things, including integrating a lot of what we already do today that's going to really change the fundamentals of how we're viewed as manufacturers." Nick Gibbs, Michael Martinez and Michael Wayland contributed to this report.